Equipped with an automatic movement, the Worldmaster Big Original 1888 pays tribute to a distinctive best-selling model. 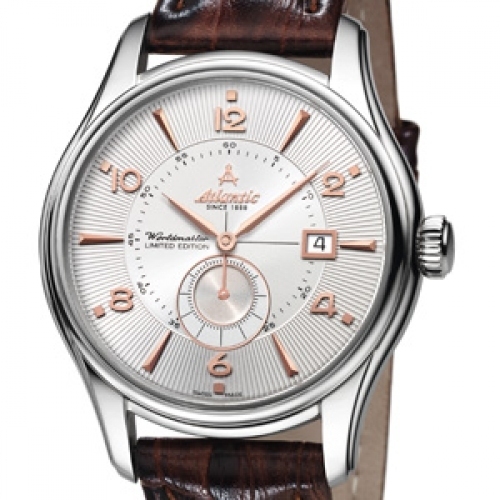 This timeless yet modern model embodies all the elegance of a classic watch. Teamed with a noble calfskin leather strap, its refined case profile, its structured dial with sunburst motif, the hand-applied hour-markers and large numerals, as well as the asymmetrical small seconds, combine to offer a worthy homage to the history of the Atlantic brand.